What Inspired Michael Dell to Sell Computers Directly to End Customers? 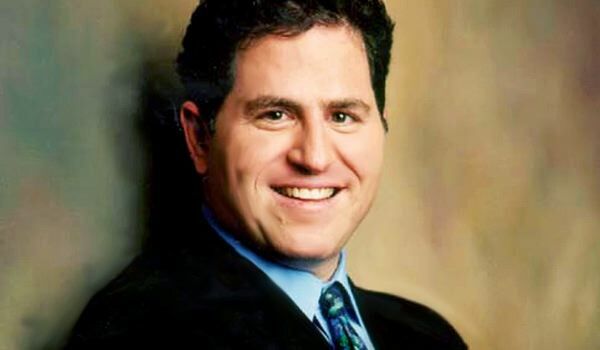 Michael Dell is the founder and CEO of Dell Computer Corporation. It was started in 1984 with $1000 in reserve and now it has $62 Billion! It sells computers in almost all countries of the world and is the world’s second largest computer selling company. Dell is very famous for it’s Direct Selling Technique(i.e.Company sells its product directly to customers, all intermediates like distributors,retailers are eliminated). Michael Dell adopted the Direct selling technique back in 1984 at a time when biggies like IBM and Apple Inc were selling PC’s through Indirect channels. So what inspired Michael Dell to stick on his thinking and not to sell PC’s indirectly to customers ? The answer to this question doesn’t lie on the analysis between Direct and Indirect selling technique, and that Dell found Direct method better,yes that was one of the reason but not the prime one. In fact,answer to this question lies in his nature/attitude,which inspired him to sell PC’s direct. The idea of selling computers Direct actually favoured his way of thinking.He saw that by selling PC’s Direct he could eliminate the role of distributors and wholesalers, cutting a long process short! He wanted to keep the process of buying simple and easy.He didn’t wanted his customers to suffer from the problems due to some distributor/retailer. Dell says “Indirect channel was based on a marriage of the unknowing buyer and unknowledgeable seller and i knew that marriage couldn’t last”. This very reason Inspired Micheal Dell to start selling PC’s Direct. -He has earned various Titles on his name like “Man of the Year” by PC Magazine , “Entrepreneur of the Year” by Inc and “CEO of the Year” by Financial World. -When Dell was launched there were 25 companies selling computers.Today 17 of that 25 companies are wiped out. Found the post interesting ?? Encouraged me by commenting below, Cheers!! !